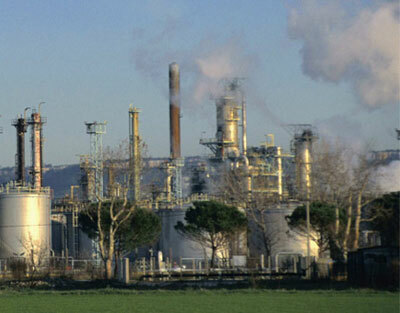 Explosive atmospheres (ATEX) are mixtures of gases, vapours or dusts flammable with air. This applies to many industries (petrochemical, pharmaceutical, food and agriculture, etc.) that should take the necessary measures to ensure the safety of its staff and facilities. In many sectors of the industry work is performed in environments with gases, vapours, mist and dust; in other sectors, the flammable substances arise during processing. If these substances are combined with air and come into contact with an ignition source there is a risk of explosions. To avoid property, environmental and personal damage that may result from this, measures have been developed to protect against explosions. Additional safety devices reduce the energy in the power circuit to such an extent that it cannot ignite any mixture of fuel due to sparks or surface temperature of the device itself. Transposition of EU Directive ATEX 1999/92/EC into each member state imposes the drawing up and updating of an Explosion Protection Document (EPD) on all establishments that could present Explosive Atmospheres (ATEX). ElectroRayma has the Saqr-ATEX Certification for the repair workshops and the Ism-ATEX for the installation and maintenance staff and companies. 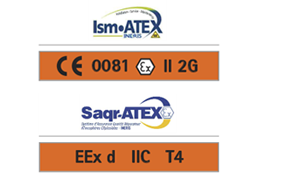 Ism-ATEX and Saqr-ATEX are voluntary certifications in the field of installation, maintenance and repair.